For Victoria, finding Zumba was symbolic of returning to taking care of herself. Here is her story. My story began in 2009 when my youngest of three suffered a horrible head trauma from falling down our basement steps. Let me just say she is nothing less than a miracle and has suffered no lasting affects. After she was healed, I took a good look in the mirror and didn't recognize me any more. I found a Zumba class at my daughter's dance studio and took the leap to get fit. 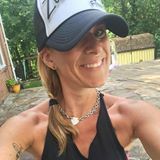 I fell so in love with the program and it's message that I became an instructor in 2011, shedding over 50lbs! When I was at my unhealthiest, life was very stressful. I was so busy taking care of everyone else around me that I forgot to take care of myself. It started to take a toll on my own health both physically and mentally. I was hurting in so many ways. My arthritic pain was at a high, my mood was extremely low and I knew that I had to make a change. The hardest thing about getting healthy was feeling guilty about taking the time for myself and away from family. I already worked outside of the home and felt that it was just more time that I wouldn't be able to give up. Then I saw how my family was supporting me... my husband and children used to push me to go out and join a class, even though I said I was too tired or had "something to do". They saw the change in me and how much it made me happy. I was relieving stress and exercising while having so much fun! In turn, everything around me started to change. I was feeling better and it showed from the way I smiled, spoke, and went about my daily life. But more than the weight loss, I found something else on this journey. A way to give back! I am big on fundraising for important causes and helping others as much as I can through Zumba. 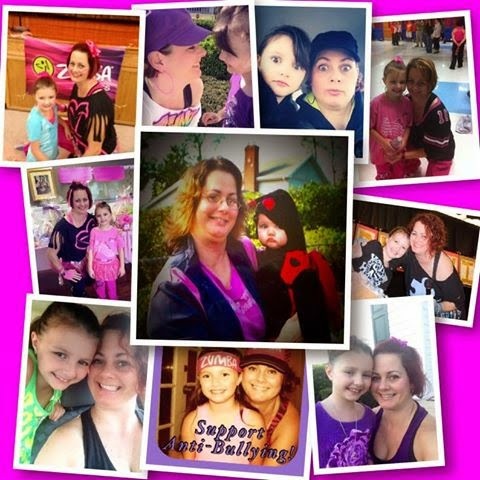 I want people to see and feel the Zumba Love that I have felt and show others what it can do! The BEST part is that I get to share it with my little miracle! She's at my side helping to raise money, awareness and paying it forward every chance we get. I couldn't be more blessed! My advice to anyone trying to get healthier is to make sure you surround yourself with positive energy. You want people that are going to be there to encourage you and help you achieve your goals. It's also so important to take care of your mind because you need a healthy mind before you can truly get to having a healthy body. Believe in yourself and just know YOU CAN DO IT! We are all made in different shapes and sizes, but you no matter what...you can be healthy!